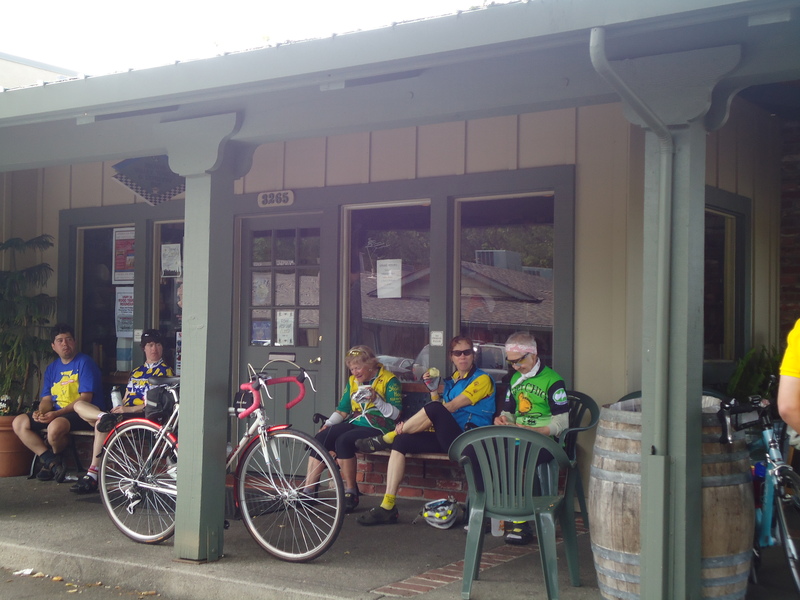 For today’s ride, the group meets up at the corner of Ramal Rd and Hwy12/121 in Sonoma County. 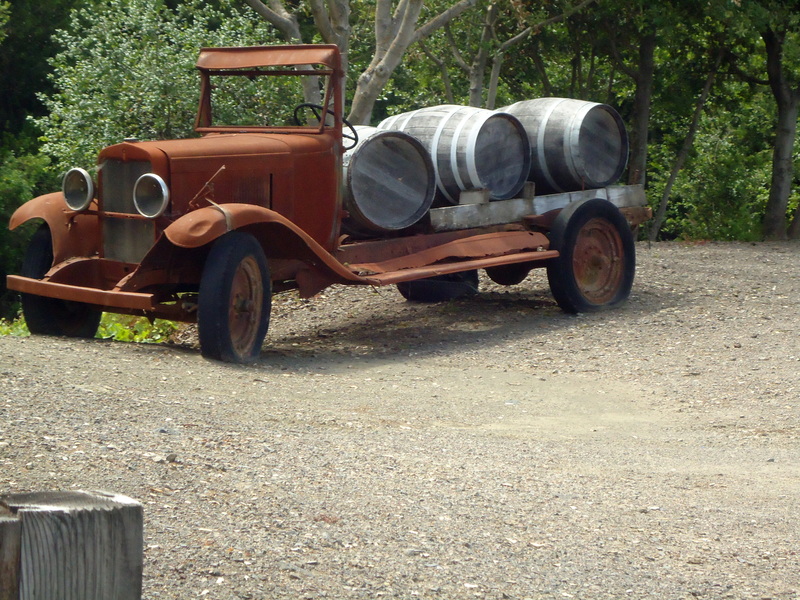 There is ample parking in the dirt lot surrounding the tall eucalyptus tree. 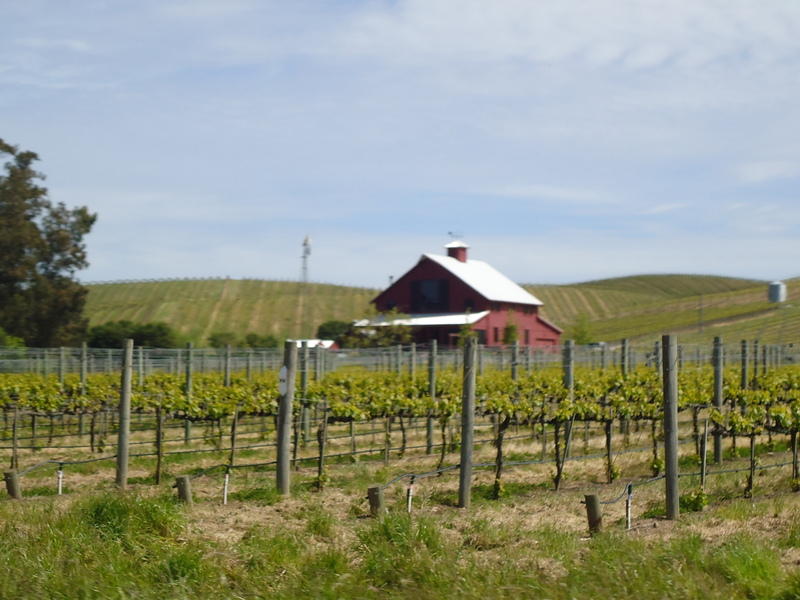 We head south on Ramal Rd for the next 4.7 miles and ride pass vineyard after vineyard. 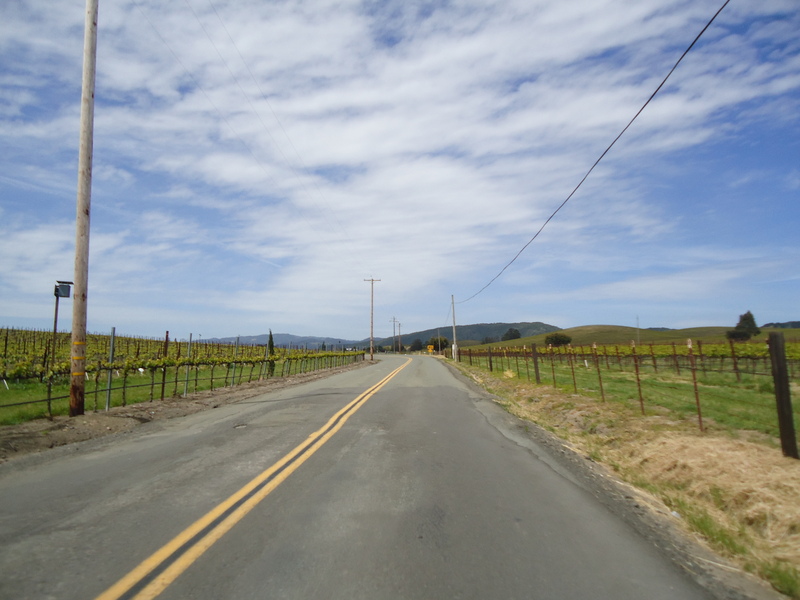 The road conditions are very rough and filled with many cracks and potholes. 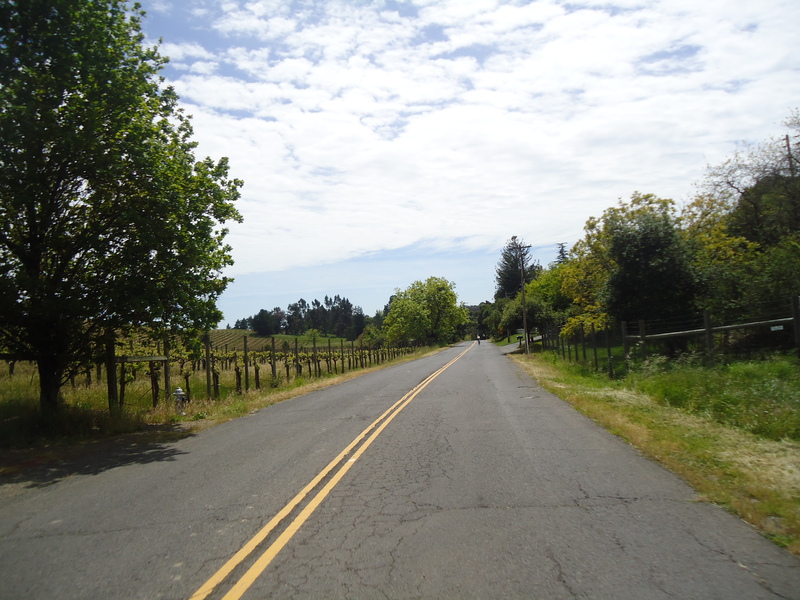 It does get better as we turn onto Duhig Rd. 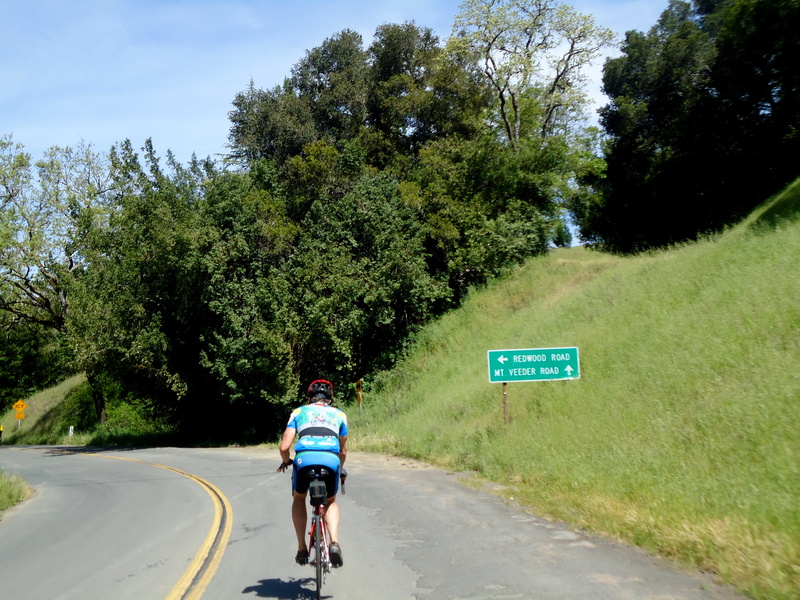 There are a few short climbs in between before the turn on Hwy 12/121 to Old Sonoma Rd. 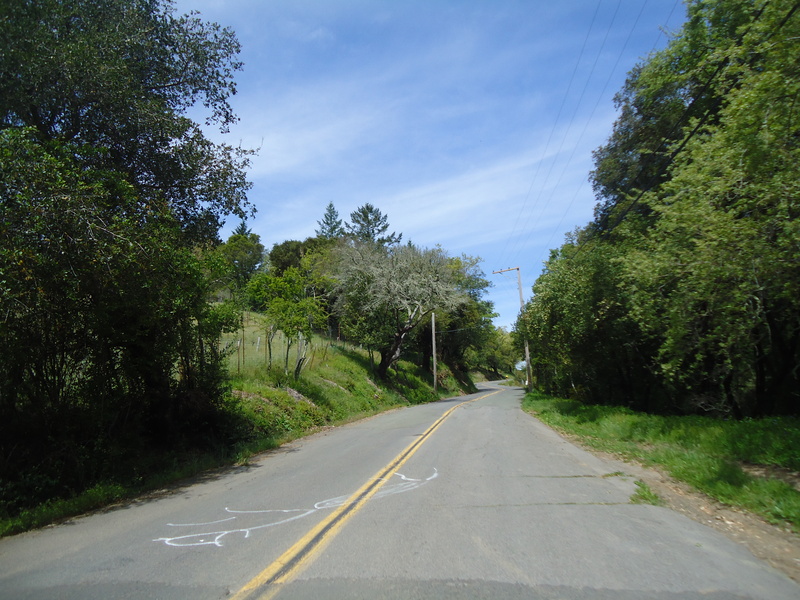 We continue along Dealy Ln to the short climb on Henry Rd. 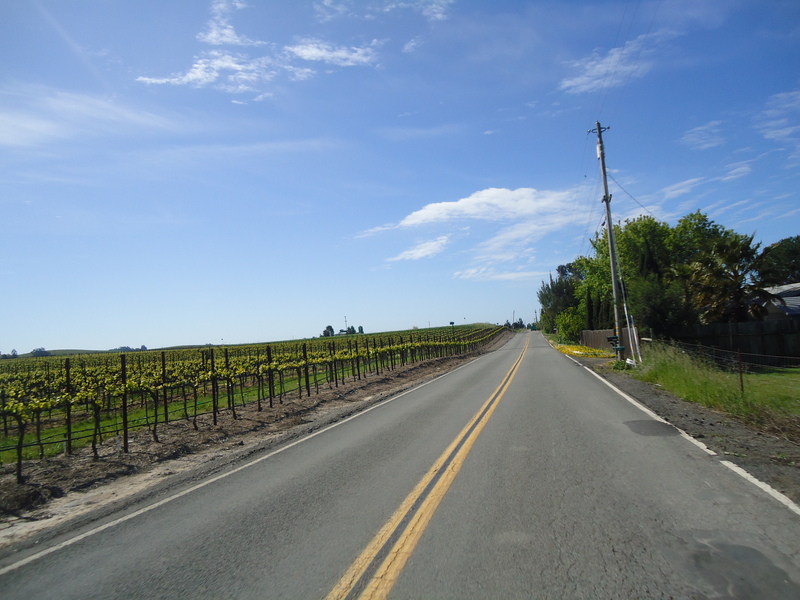 We ride pass vineyards before dropping down to Buhman Rd. It’s really quite pretty back here. 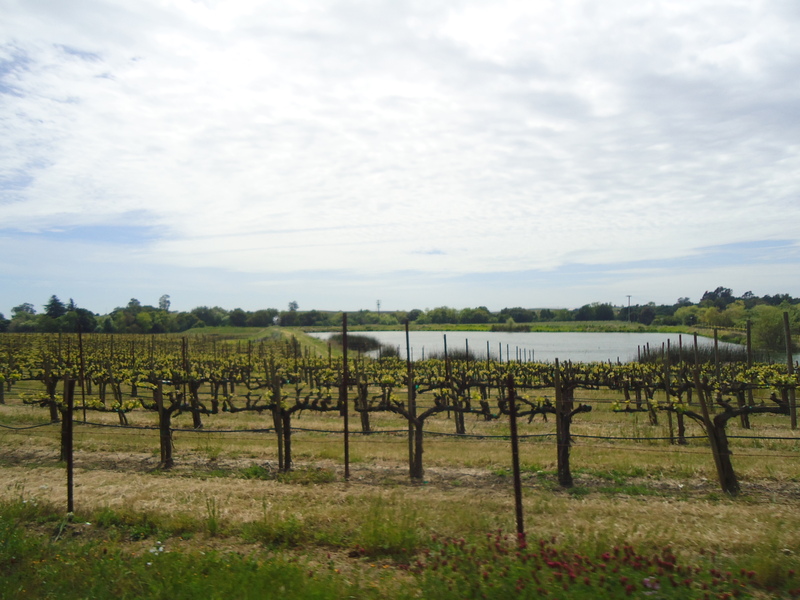 Buhman takes us along a stretch of road with yet more vineyards before we reach the residential neighborhood on Browns Valley Rd. 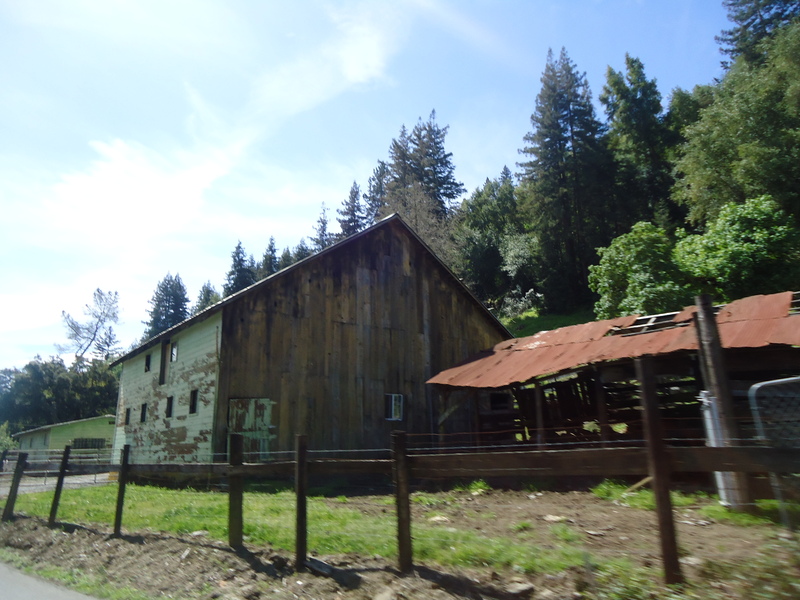 The turn on Redwood takes us on a quiet road with old farm houses and ranches. 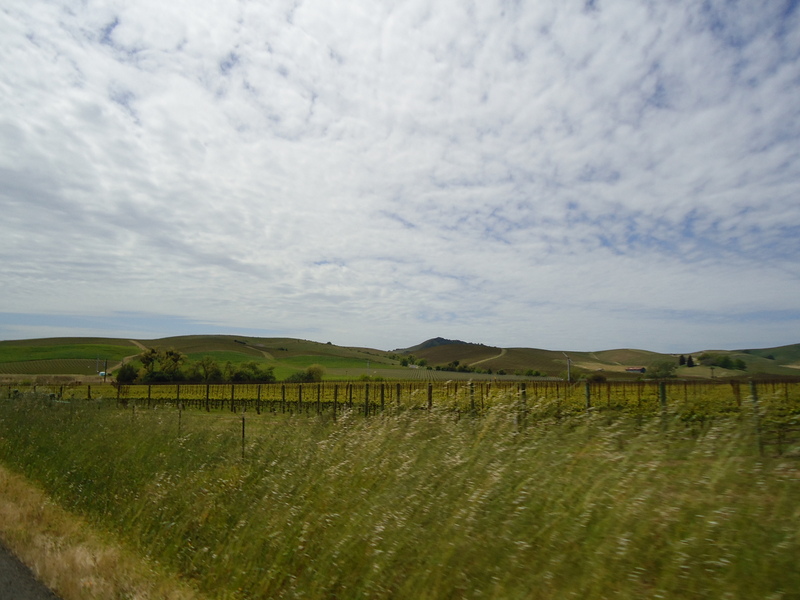 You can see the horses and alpacas roaming about. 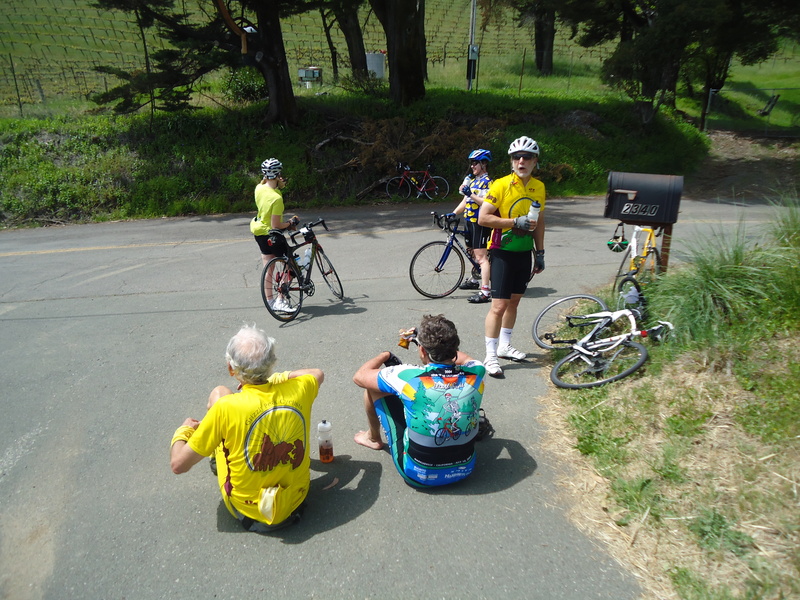 At the Y intersection, we continue straight on Mt Veeder Rd. 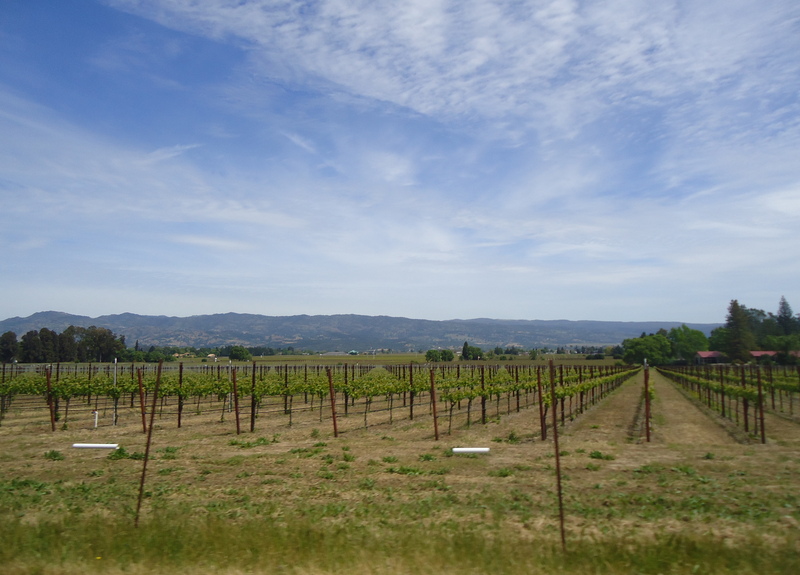 It’s absolutely gorgeous here; everything is green and lush! I thoroughly enjoy hearing the sounds of the water rushing along the creek while riding under the canopy of trees. from 9-10% and maxes out at 12% as you near the summit. 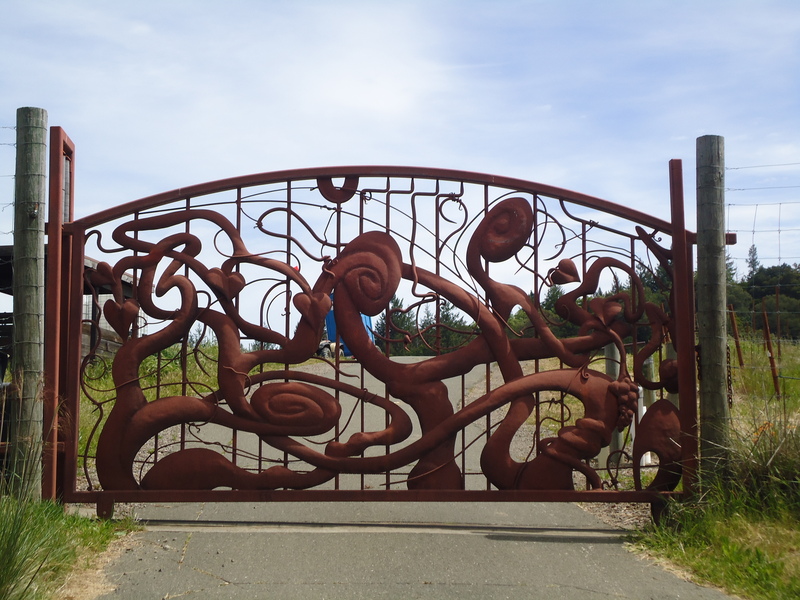 There is a brief regroup in front of the beautifully crafted gate at the entrance of Paras Vineyards. 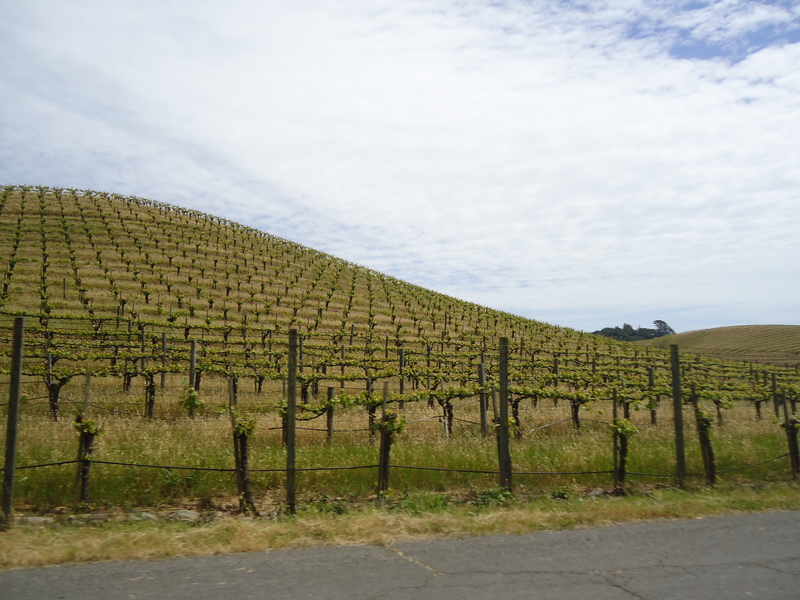 The descent on the backside of Mt Veeder is really rough! 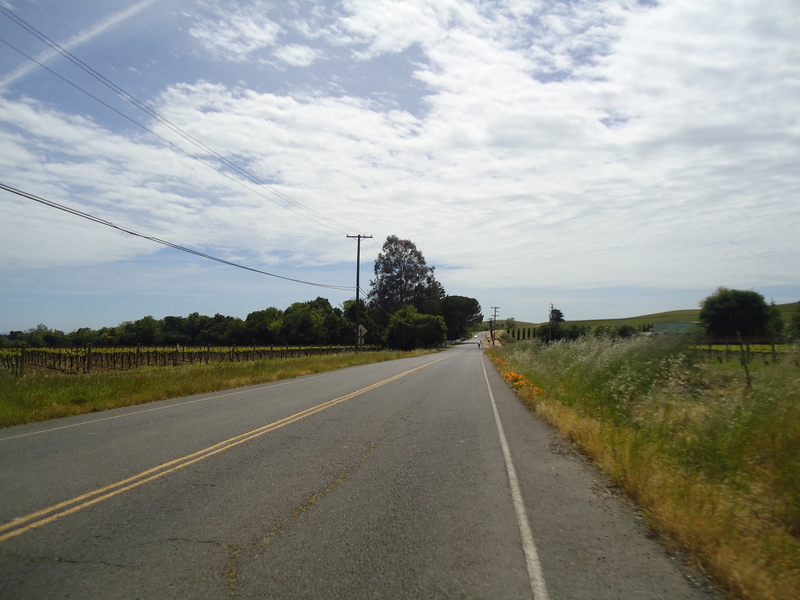 We continue on Dry Creek Rd for the next 9.4 miles. 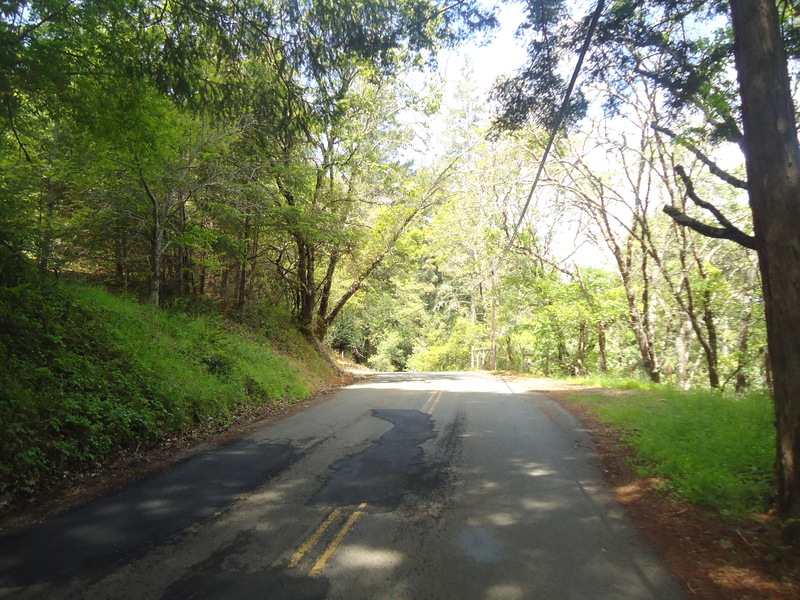 This stretch of road is really fun; it’s a slight downhill along the creek with one short climb before we reach the valley. 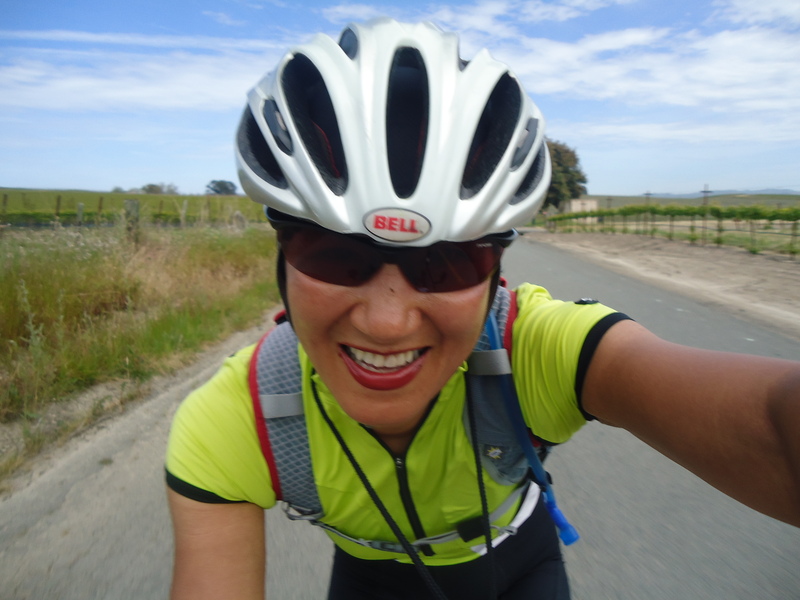 My bag of Easter colored sour candies fly out of top tube bag as I go over a small bump in the road, oh! 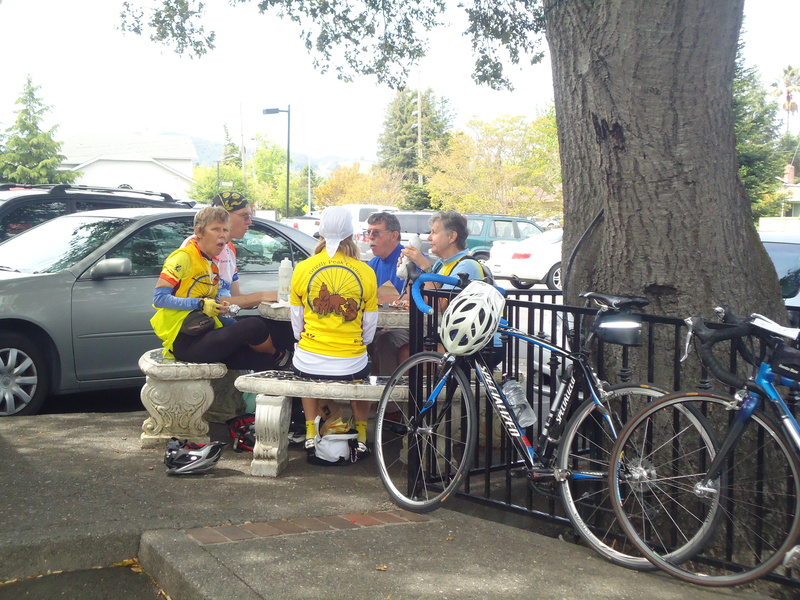 The lunch stop is at Browns Valley; you can order sandwiches at the market or have coffee and frozen yogurt at the shop next store. 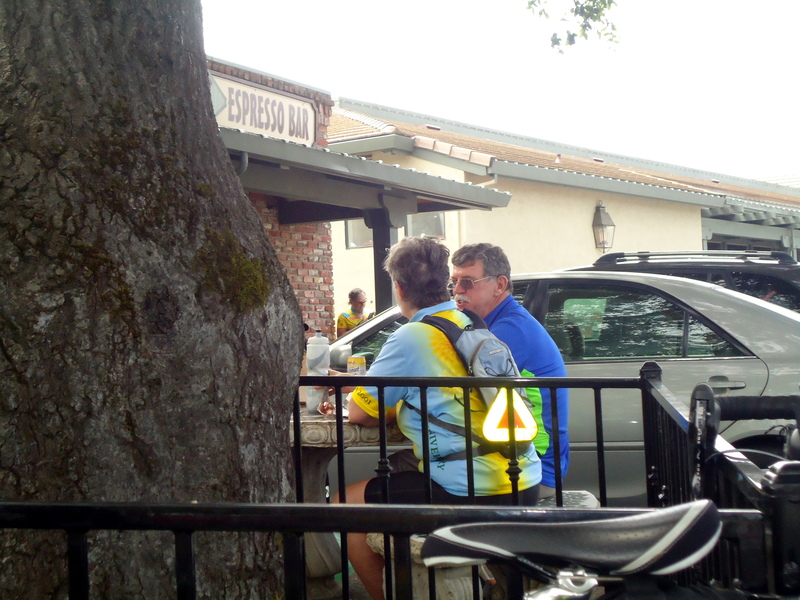 There is ample outdoor seating with plenty of space to park the bikes. 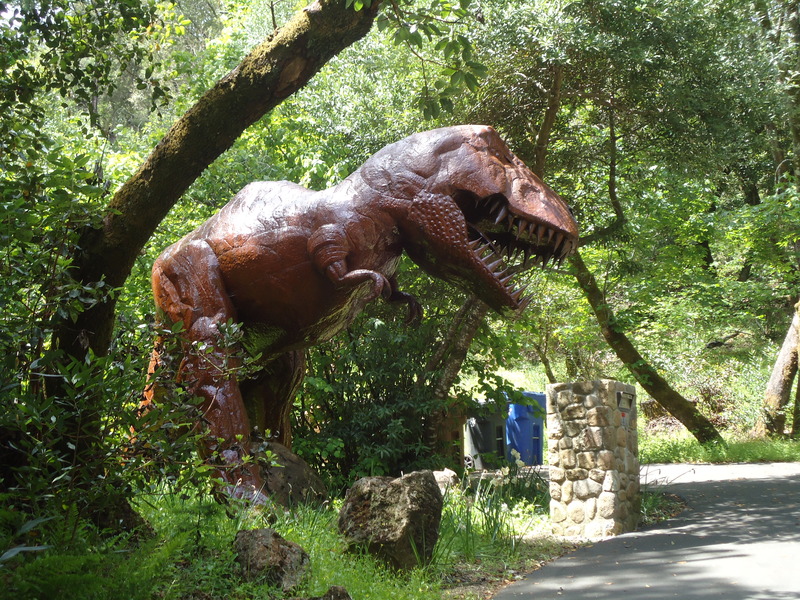 Water and restrooms are available. 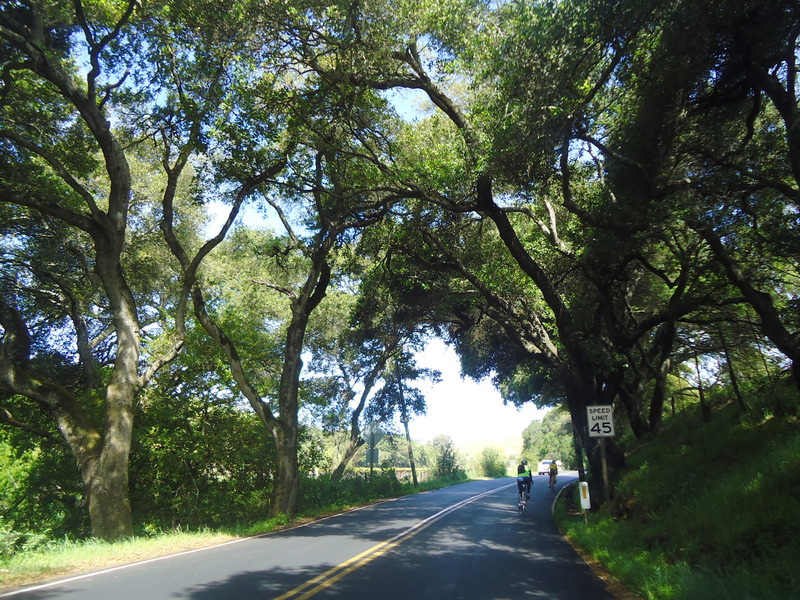 After lunch, we head out on Thompson Ave and Congress Valley Rd back to Old Sonoma Rd. 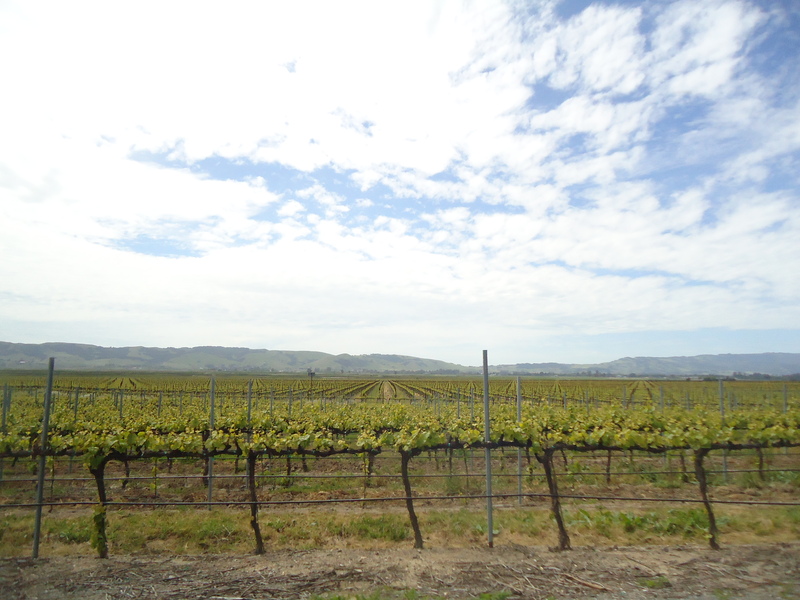 We head east on Hwy 12/121 and turn on Los Carneros Ave to South Ave and Cuttings Wharf Rd. 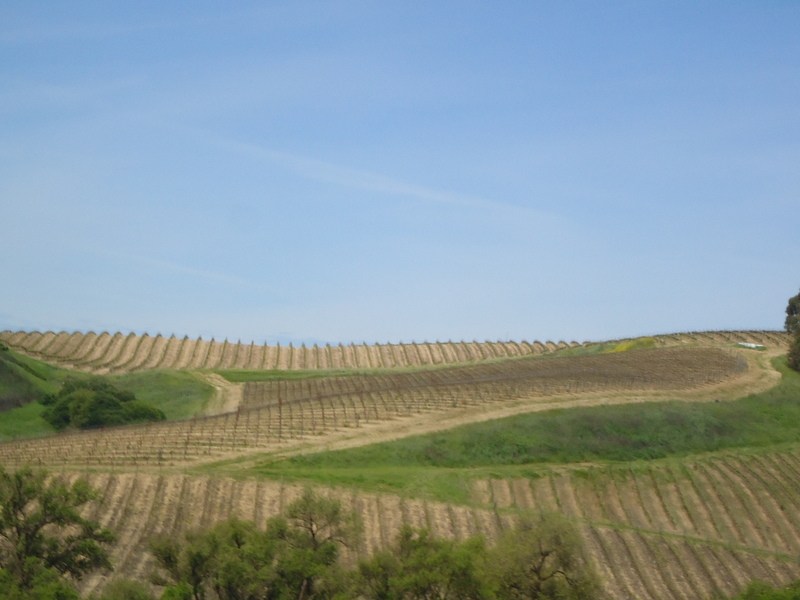 We continue on Las Amigas for the next several miles. 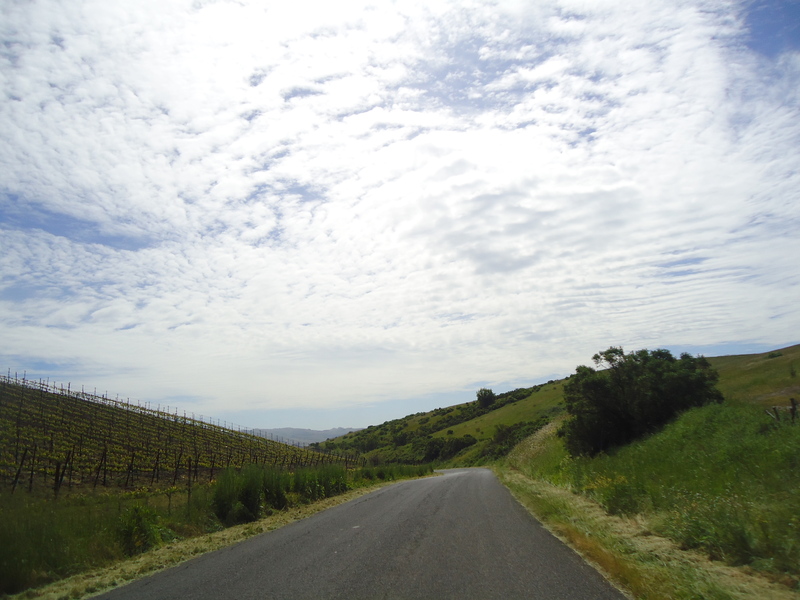 There are a few short climbs and rollers before the turn onto Duhig Rd. We stay on Duhig and Ramal Rd for the next 5 miles back to the start. 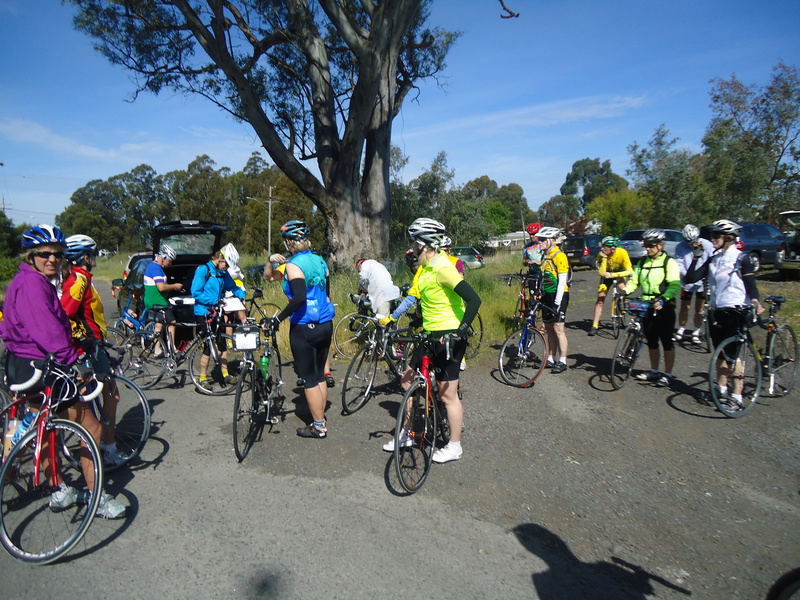 Thanks to Mark S for leading the ride! What a fun and enjoyable way to spend the day. Weather: Fabulous! Sunny, warm and breezy with afternoon clouds. Temps ranged from the mid 60’s to low 70’s. 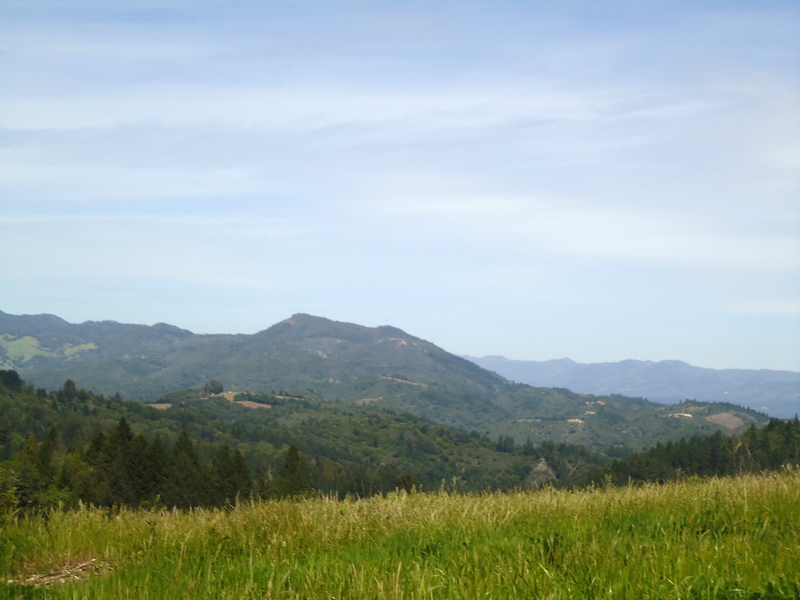 Next Post → Mines Rd to San Antonio Valley – Elk Sighting!